I like coffee. I also know and appreciate the difference between good and bad coffee: an often necessary caffeine-fix to face the day ahead, and a great end to a meal that has been joined by copious amounts of wine. I do not, however, approve of the unbelievable level of pretension that surrounds coffee in 2016. There are far too many coffee shops that adopt frankly irritating names in a bid to draw the MacBook crowd away from Starbucks, roasting beans so coveted that the notion of consuming them brings unwanted feelings of guilt: like taking the last green triangle from a tin of Quality Street. London is also plagued with an epidemic of coffee shops that serve deconstructed flat whites, or iced skinny hazelnut Macchiatos all in a despondent attempt to be to hot drinks what Heston Blumenthal is to molecular gastronomy. When will it end? The latest news to have broken on the conceited coffee circuit is that surrounding a new coffee liqueur that’s so exclusive, prospective buyers are made to take a written exam to prove their love and knowledge of coffee before even being considered for a chance to buy a bottle. Not only is such a notion bizarre, it breeds a whole new wave of snobbery and is an outlandishly pompous marketing ploy. Set by industry experts, the exam features six multiple choice questions and two essay style questions exploring the origins of coffee, organic acids, Geisha flavour profiles and the meaning of ‘first crack’. Next, once the exam has been filled out, potential customers will have 30 days to post their completed papers to the official invigilators, who will then assess all entries and select ‘the most appropriate candidate’. 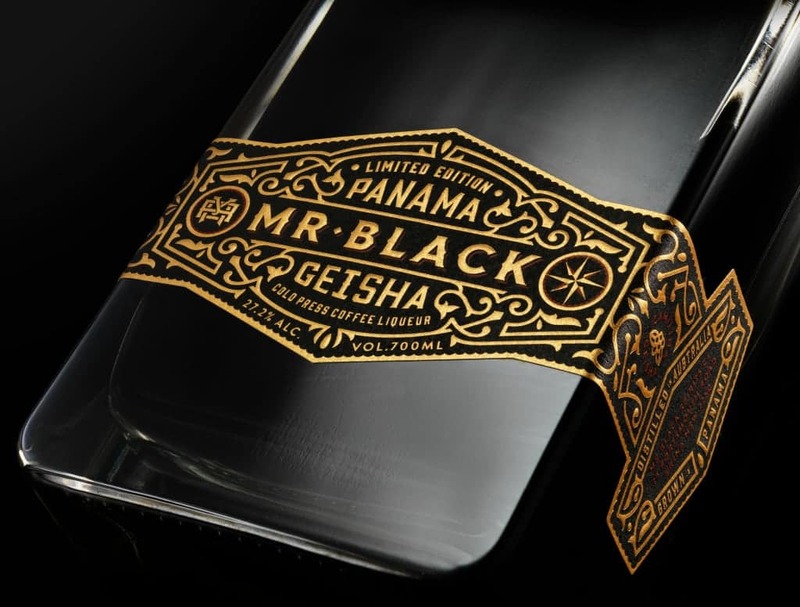 Unsurprisingly considered one of the leading producers of coffee liqueur, the original expression of Mr Black is perhaps the most versatile bottle in my drinks collection. First launched in 2012, the drink takes nine months to complete, and is made entirely using a cold extraction process, with specialty Arabica coffee beans from Ethiopia, Brazil and Papua New Guinea chosen for their distinctive flavours. Next, the blend is cold extracted over a period of 12 hours in order to produce a full-flavoured coffee without the acidity and often harsh bitterness of espresso, all before using a huge basket press (“stolen from a winery”) to extract the rich liquid from inside the coffee infusion. Though the process is time consuming, the resulting liquid delivers a bitter-sweet kick on its own, or works as a remarkable base for a number of cocktails – most notable of which is the classic Espresso Martini. But is any drink really worth taking an exam for, all in the name of coffee-connoisseur one-upmanship? Perhaps the ostentatious system will be seen as a credible marketing ploy for this exclusive new liqueur. If that really is the case, the test can be taken online at Mr Black’s website, as if there was no better way to waste time in the lead up to Christmas.